This self-help book focuses on the emotional and psychological well-being of women throughout life, offering solutions and strategies to address and maintain emotional health. The author draws on personal experience of mental illness, which has enabled her to develop understanding and empathy in this area. The book recognises the challenges that women face during their lives that are specific to their gender, and which may affect their psychological and emotional well-being. 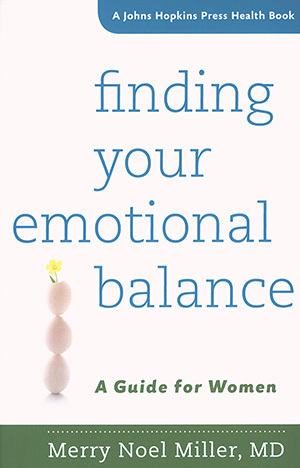 Well written and comprehensive, it suggests strategies to help women achieve balance in their emotional lives throughout these stages. The book is divided into two parts. Part one has five chapters, each dedicated to a different stage in a woman’s life, including the childbearing years, the menopausal transition and the senior years. Part two focuses on the major psychological and psychiatric issues that women may face at any age, including depression, anxiety, substance misuse and grief. The text recognises not only the genetic and biomedical origins of emotional well-being, but also the social and environmental causes. Strategies offered to combat emotional ill-health include a range of non-medical treatments, such as time management, spirituality, exercise, diet and mindfulness-based cognitive therapy. Accessible and easy to read, the book may be helpful for nurses who want to understand further the major milestones in women’s lives. It may not offer ground-breaking advice on mental health problems, however it does provide a comprehensive insight into women’s emotional lives and would be a welcome addition to any healthcare or nursing library.